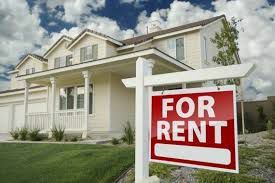 Rental properties can be a huge investment. A lot of times when someone comes in looking for materials for their rentals they tell us they want the cheapest option possible. We understand that this might seem like the best option, as most rental property owners anticipate having to replace material frequently. However, we believe that a good quality investment will save you money, and time, in the future. Instead of purchasing a cheap flooring and replacing every 5 years, if you spend a little more for a quality product you can probably put off replacing it at least twice as long, which ultimately ends up being less expensive not only in material, but in labor as well! We also know that the most expensive material is not only not always attainable, but it may not actually be the best option! It is important to do your research, or speak to a trusted professional, about what the best material for your rental will be. For example, hardwood flooring is usually the most expensive, however it is still prone to scratches, gapping, and water damage. A good quality, water resistant laminate will not only save money up front, it will last longer and look better than the wood over a longer period of time. This philosophy does not only apply to flooring, it can apply to almost every aspect of a rental home, paint, trim, counter tops, and especially cabinets. Quality cabinets often seem to be the last thing on a rental home owners mind, but the truth is, investing in a superior quality cabinet will save them a lot of time and money. There are many instances where a renter does not keep the property manager informed about issues in a rental. This is especially problematic if there are water issues. The simple upgrade of plywood cabinets could save a whole kitchen of cabinets exposed to water from having to be replaced. Particle board will fall apart almost immediately when exposed to water. Additionally, plywood is able to hold hardware better, which means they are much less likely to have issues with doors falling off cabinets. Finally the use of a dovetail drawer as opposed to screw construction, means that drawers are much less likely to break and fall apart, which can be a very costly fix. As a company that specializes in carrying only plywood construction cabinets with dovetail drawers, we pride ourselves on the fact that our cabinets can stand the test of time, and renters! The final reason we think rental property owners should invest in quality products, is to keep renters happy. Now we know not all renters are one's you want to keep around, but when you do find those renters you want to keep them. Having a home that is both beautiful and good quality will keep a renter happy. Happy renters mean less vacant time and advertising, and more money in your pocket!